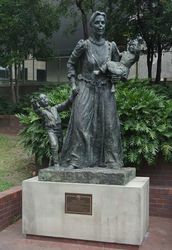 The statue was installed to commemorate 200 years of European settlement and was funded jointly by New South Wales Bicentennial Council, the National Mutual Life Association of Australasia Limited and the Pioneer Women's Society of Australasia. It acknowledges the role of women pioneers in the development of the country. 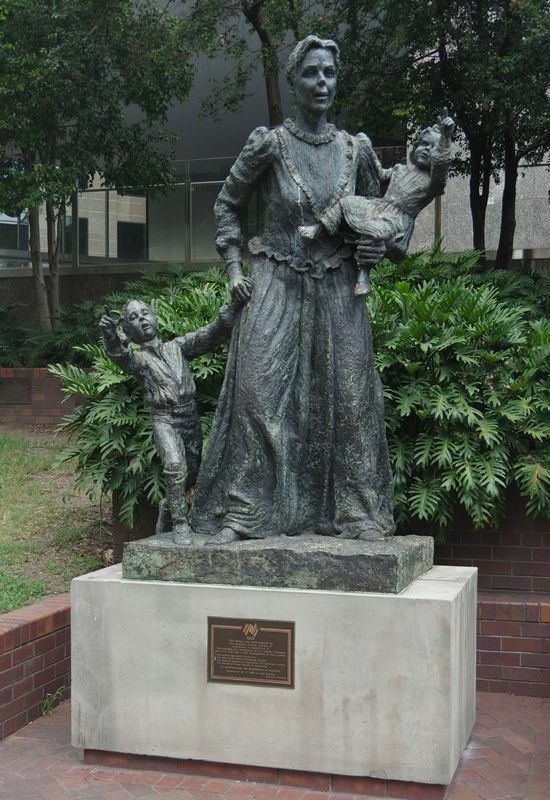 The statue depicts an early female settler carrying a child in one arm while gently pulling a young by the other. and their vital role in the development of this country. to commemorate the Bicentenary of Australia. Unveiled on 19.11.1988 by Lady Rowland.